Coach, once again, I ask, are you afraid of TxJ??? tok true. @Oga Barrington Danfo, one has engaged in plentiful debate with Oga Tx, in truth, such is the plethora of topics provided by Brendan Kloppgers, discourse is somewhat saturated with little room for anything else. Wrt Benitez, he should be feeling the cold air of the pendulating sword of Damacles but, such is the sorry state of Newcastle, he will have acquired immunity by default. To change the ownership and manager in one fell swoop is perhaps too much change. Paul Clement will be next or Hughes, with both clubs casting an interested eye at the Master Mason, Professional Professor of the Sciences, Antonius Caesar Pulis I. Will they get there before the FA Wales? Coach, are you afraid of Txj?????? benitex loses again! @Barrington Danfo, commonsense brethren. Marky Mark Hughes is in free-fall, t'is only a matter of time. ...which is precisely what Man Utd did in 2013 (along with firing the entire coaching team). Too much change. Paul Oluwadeji Clements, gone and none have ever been more deserving. @Barrington Danfo, hence the ignorance of Rafa's rubbish. Oga Clement had the stage and the limelight. @Ogbuefi Coachito. You are petrified of TxJ, and thats okay. 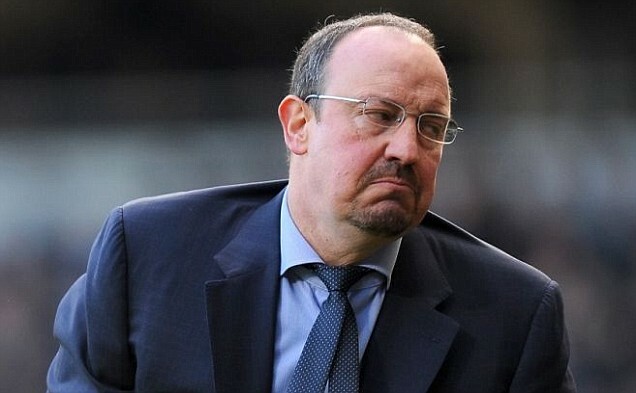 ... that Rafa Benitez is next and he is presently one of the worst coaches in the league. Mark "Odeku large" Hughes, ngwa bia. You are still petrified of TxJ abi? Just incase you dont know, Hughes, as bad as he is, has his team above Newcastle on the table. My money is on Hughes or Pellegrino! "HUGHTON" shouldn't even be in the discussion yet. His team is holding up better than more established teams. So Hughes was fired and no honorable mention in this thread? You people are seriously slacking. Last edited by pajimoh on Tue Mar 13, 2018 1:42 pm, edited 1 time in total. his name should not be there at all. Silva is a shock. I wasn't expecting this but then it is Watford.